Centre For Learning, started in 1990 by a group of educators, is an attempt to explore the nature of learning and its relationship to the challenges we face today. We feel that living creatively and meaningfully demands from each of us a serious inner enquiry free from dogma and ideology. Without this, there looms the danger of losing ourselves in a world that values achievement and success above all else, unmindful of the damage to nature and community. Education has been reduced to preparing the young to compete in such a world. 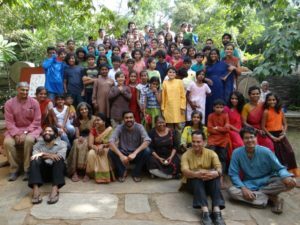 CFL is a small school outside Bangalore for students between the ages of eight and nineteen. As educators, we wish to meet the challenge of creating an environment where children and adults can inquire together in freedom, security and affection. Perhaps this can awaken a creativity in the individual, which will contribute greatly toward a spirit of responsibility and regeneration in society. The curriculum also aims to help students discover their interests and nurture rigorous skills in academic and non-academic areas. 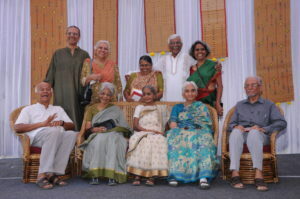 In January 2000 the school moved to a twenty-three acre campus about 40 km from Bangalore. The land and the buildings at the campus are the result of generous support from a large community of donors from all over the world. Facilities at the campus are simple and cost-effective. Through the years we have been on the campus, we have learnt to care for the land and use it as a rich educational resource, both observing the natural world (it is home to a wide variety of plants and animals) and learning about the impact that human settlement has on land. As a group of adults we work cooperatively, without hierarchy or formal structure. Working closely together in such an environment is both enjoyable and deeply challenging. CFL receives no funding from the government. Fees from students does not cover all our costs. We have managed to create an endowment fund, the interest from which meets some of the deficit.